Looking at the bears in the wild are very intimidating even from a distance, so when you are in bear areas, you need to be prepared if a bear gets aggressive. 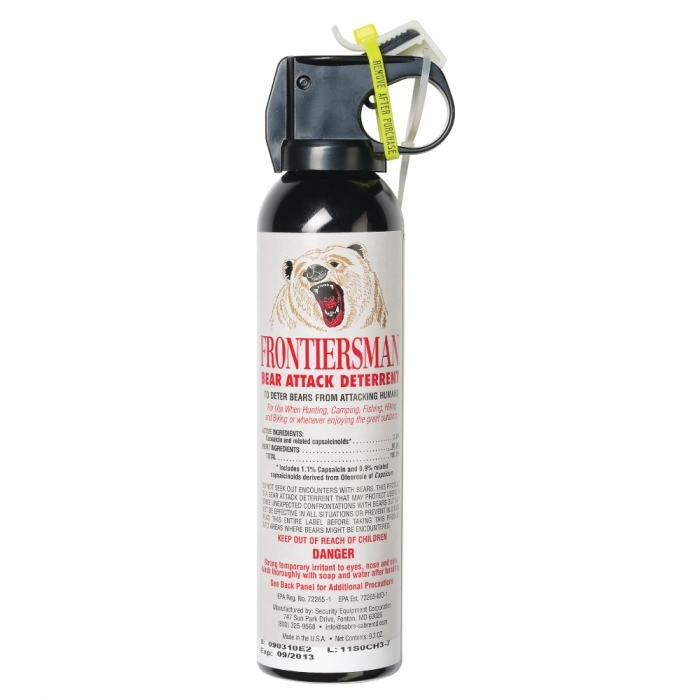 It is a good idea to keep your Frontiersman Bear Pepper Spray readily available at all times. 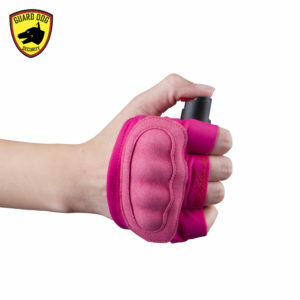 EPA-Approved Maximum Strength Formula – Maximum protection (2.0% capsaicin and related capsaicinoids). 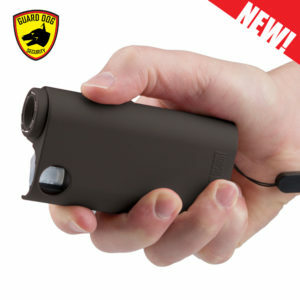 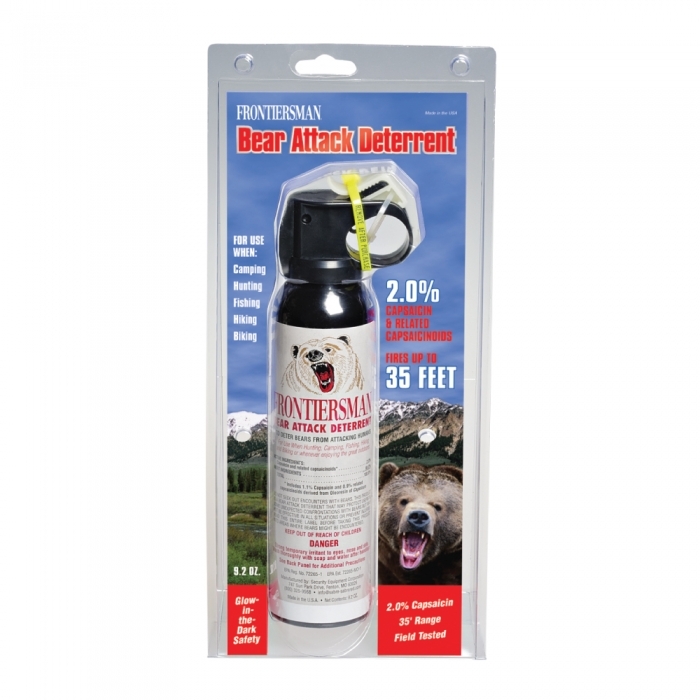 Industry Maximum Range At 35 Feet – Offers greater protection at a safe distance between you and an attacking bear. 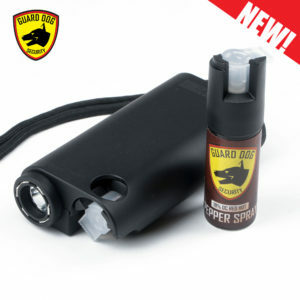 Glow-In-The-Dark Safety – Enhanced visibility helps you locate bear spray immediately. 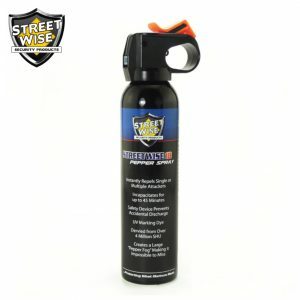 Increased Coverage – The 1.84 ounces per burst in a heavy fog delivery empties the spray in 5 seconds. 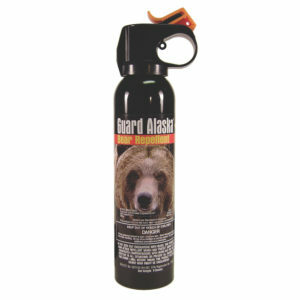 You get more spray between you and the bear faster! 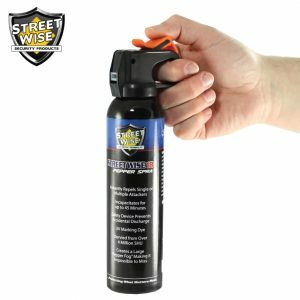 Reliable Protection – Elmendorf Air Force Base in Elmendorf, AK and Brown Bear Resources in Missoula, MT had field tested and proven it effective.